Academic studies have shown that stocks that pay high dividends often show high earnings growth as well. 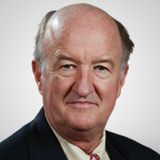 In today's volatile and uncertain economic and political climate, Dr. Mark Skousen reveals his SWAN Strategy-five sleep-well-at-night stocks that offer low risk and high returns while earning above average income. The golden age of income investing is not over!